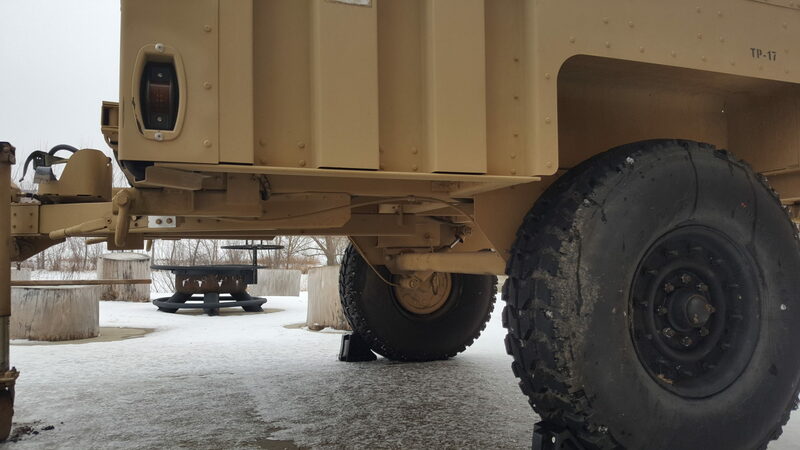 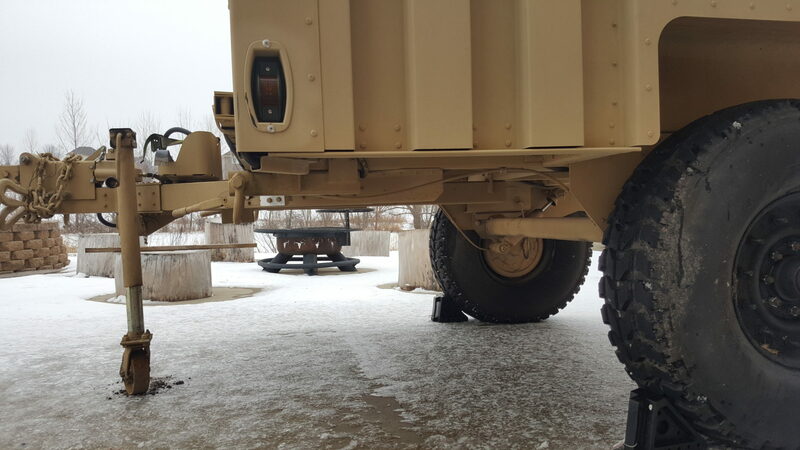 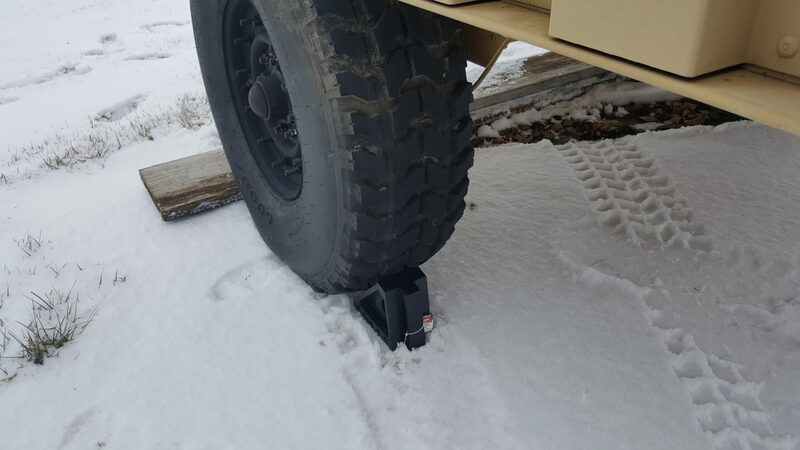 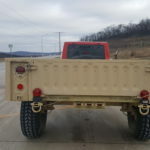 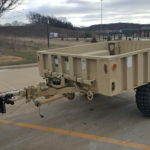 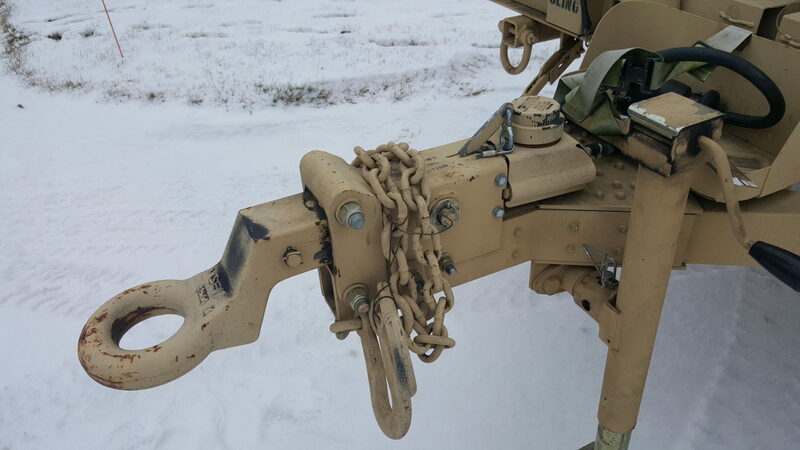 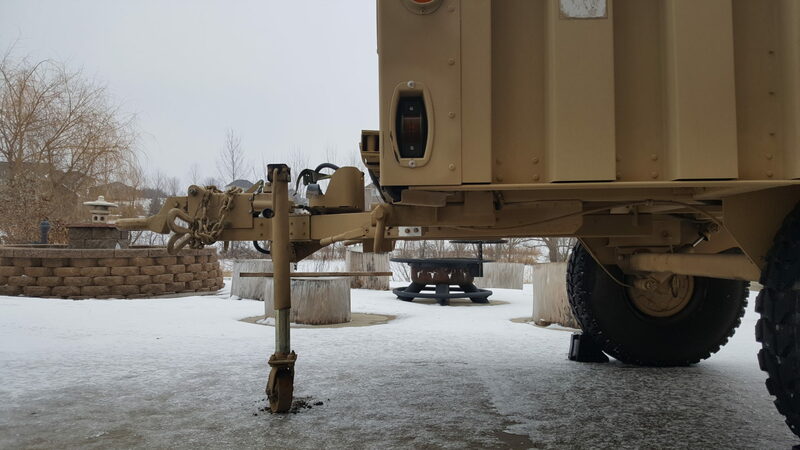 The N0AGI – TAC/0 – Tactical Off-Road & Communications trailer project was conceived in 2016 with an idea to custom modify readily available, “light-weight” military trailers such as M1101, M101, M416 and M100 for civilian off road trailing, camping and importantly communications purposes. 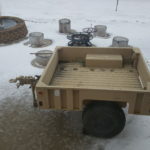 In preparing to build something, to kick-the-tires, I had done some basic searching/research on what others with similar interests have done; in doing so, it was evident, there are tons of great examples out there. 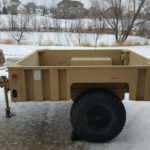 My objective is to build-it rather than buy-it. 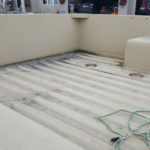 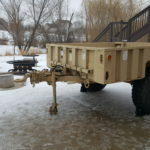 For several reasons, but to top that list, the buy-it option is way too expensive for my budget – there are several variations of camping trailers that are not readily communications enabled, that range in the $10K to $60K in the commercial market. 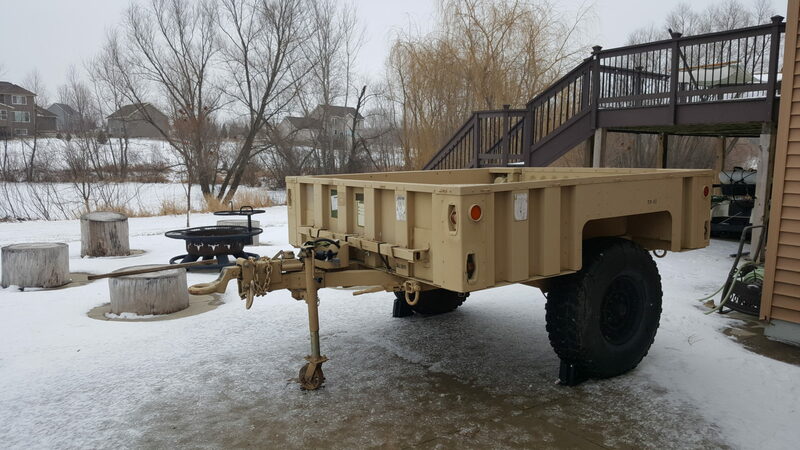 You can bing or google, “off road trailer for sale”, and it becomes quickly evident what I am talking about here. 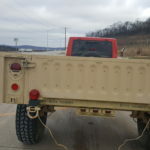 Obviously, I am simply not their target customer. 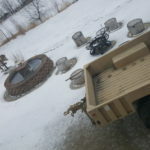 I rather build-it step by step in phases and one version at a time. 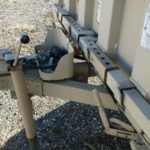 I rather build-it to learn from the experience and keep it a “living” project and evolve the design and the fabrication process over time. 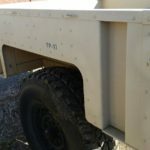 So, with that preface, with the DIY mindset, I started looking for a few models of military trailers. 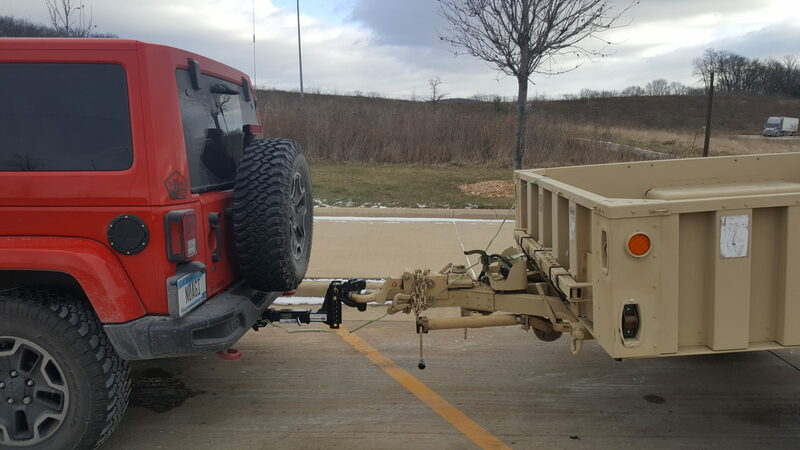 There are three specific models that stood out – the M1101, M101 and M416 primarily for use with my 2015 Jeep Rubicon Hardrock. 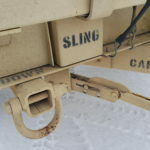 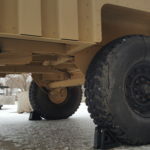 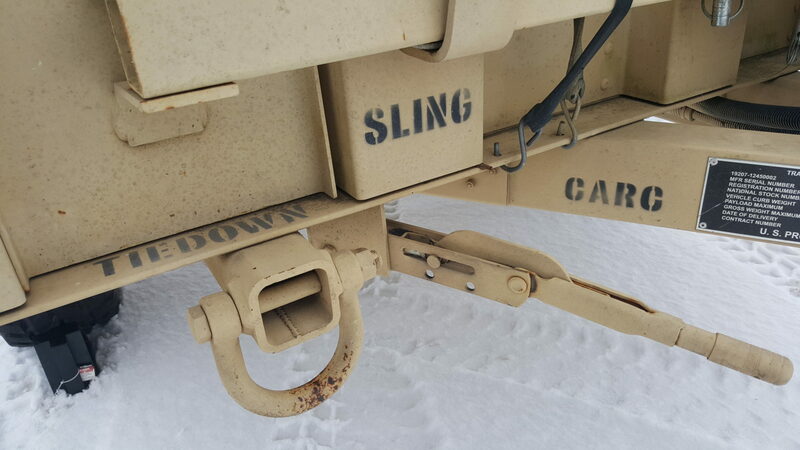 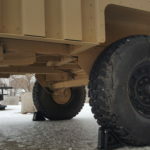 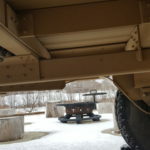 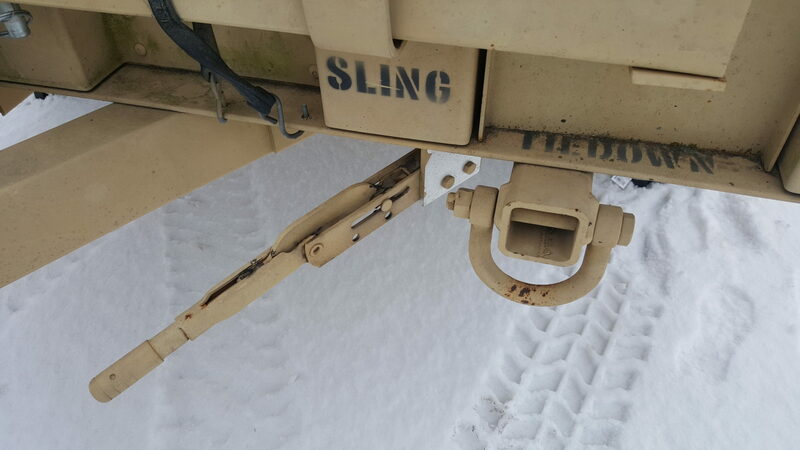 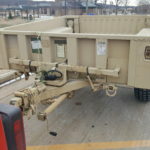 These trailers are in military vehicles comparisons, labeled “light-weight”. 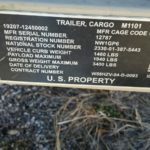 The base payload of an M1101 is not necessarily light-weight at 1400+lb. 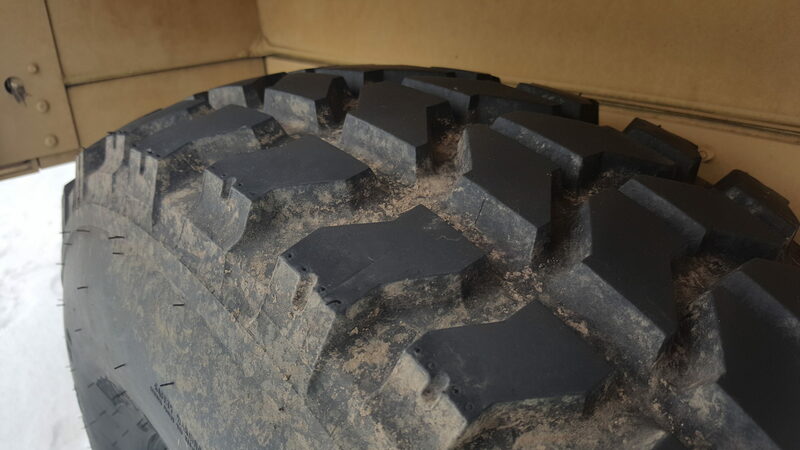 However, it offers a sturdy, smooth-ride platform for off-road trailing capabilities. 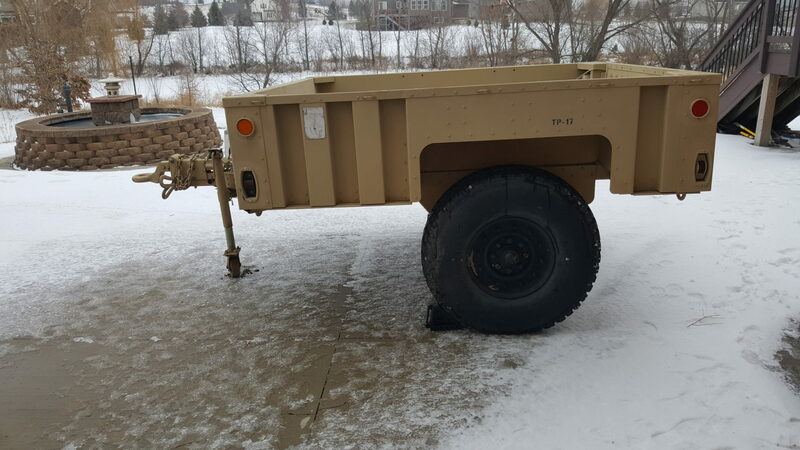 The M101 is probably the ideal trailer for my Jeep, but, does not visually appeal to me; The M416 looks great, and is lightest of the three, but, seems small in its platform footprint. 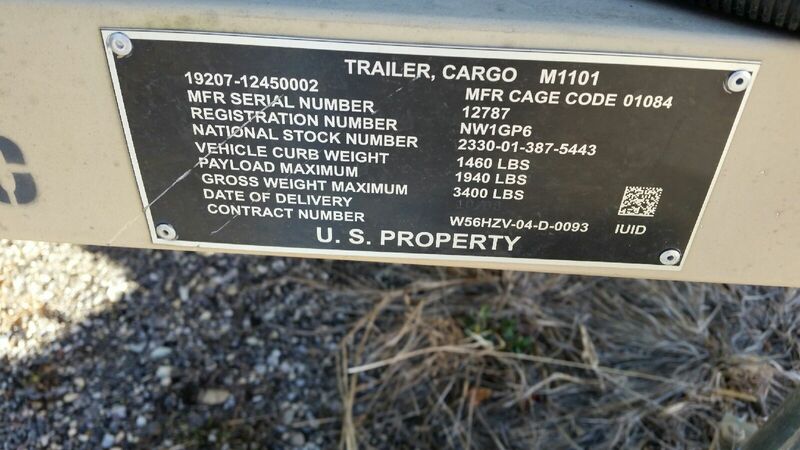 I was open to any of these above three platform choices until I found an M1101 for a very good deal from a seller who had originally listed it on ebay. 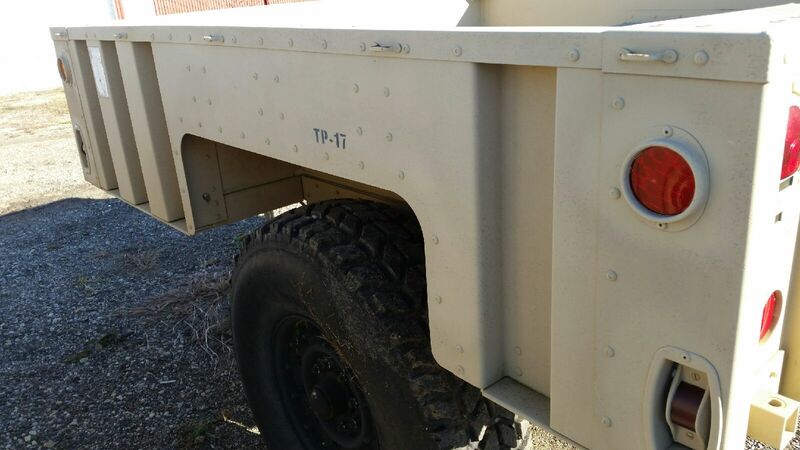 A good condition M1101 typically goes for anywhere between $1400-$2200 USD. 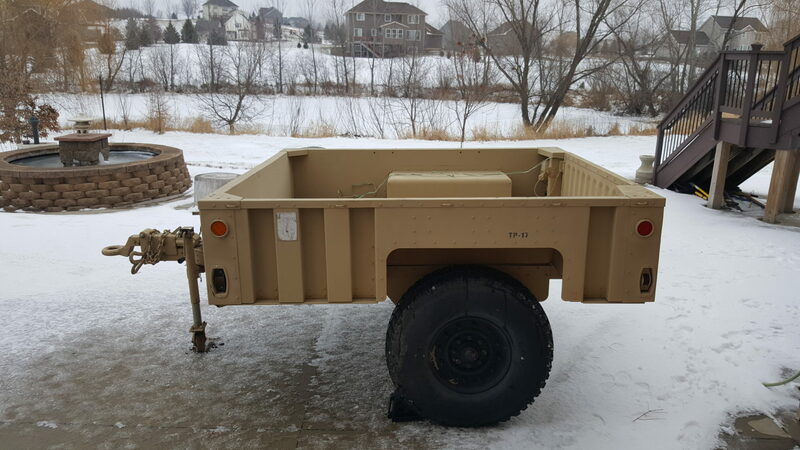 That is not what I was hoping to spend on a base trailer. 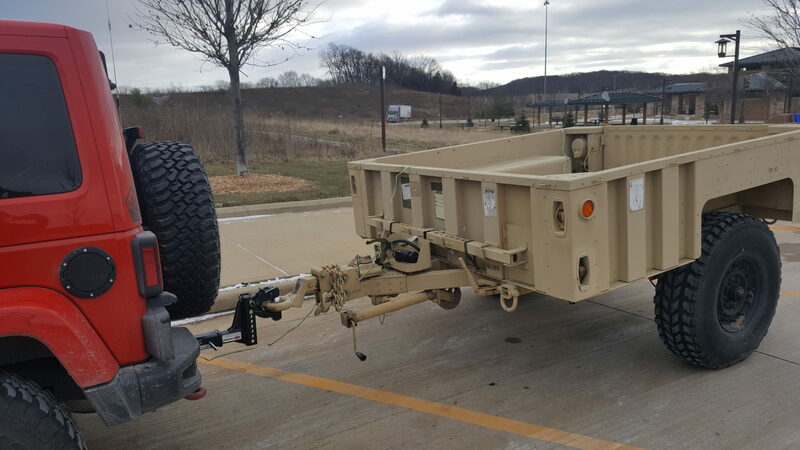 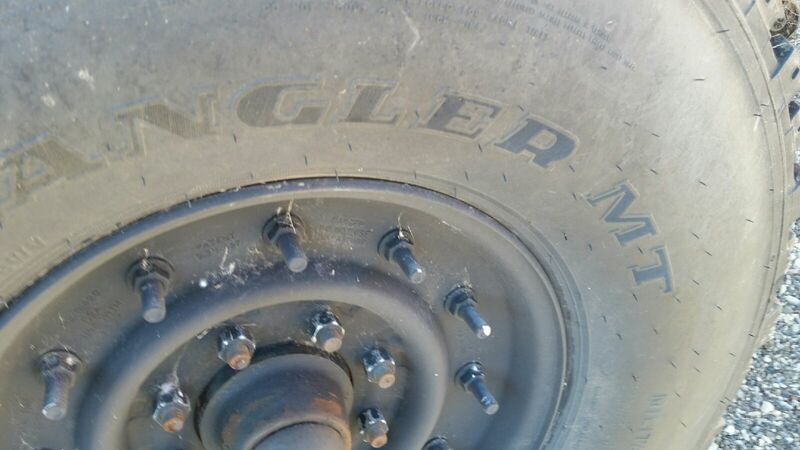 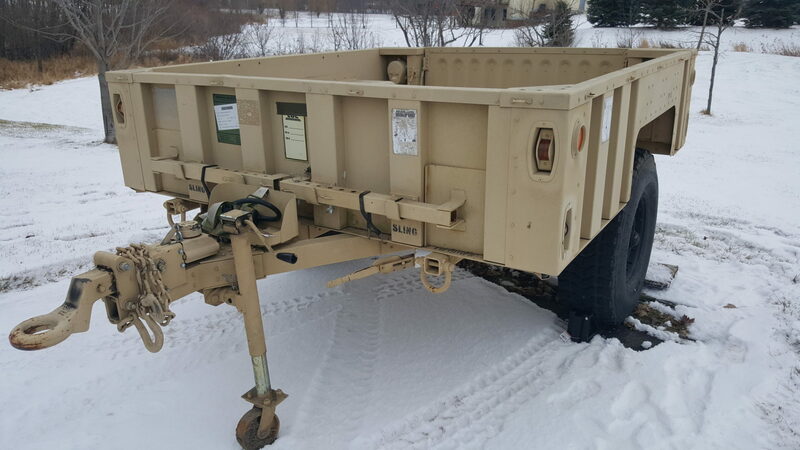 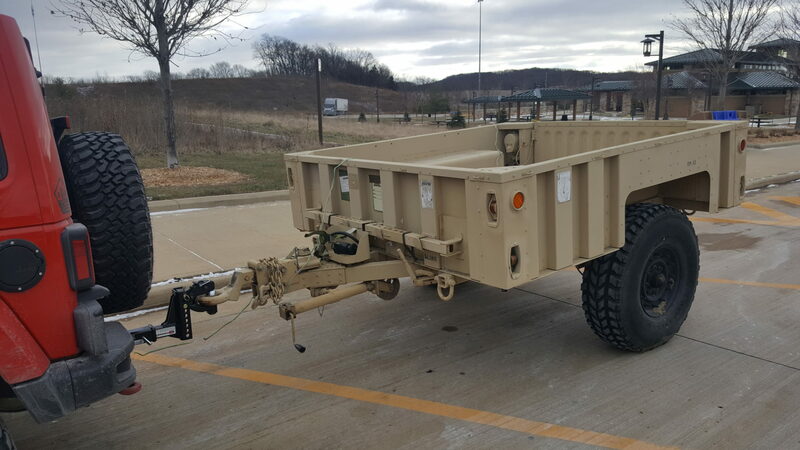 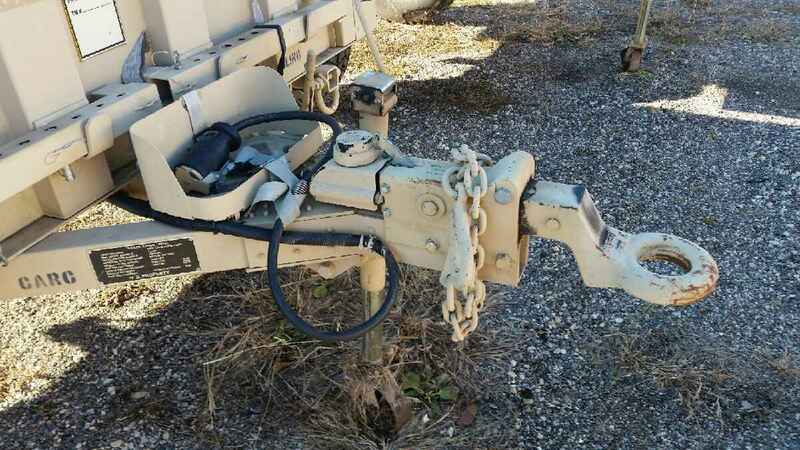 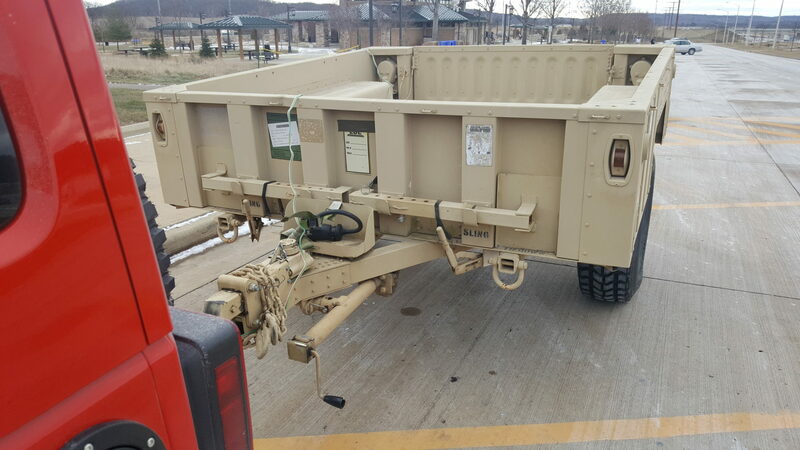 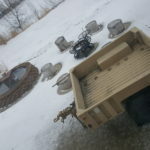 However, this seller, who has his base in Kenosha, WI., offered the trailer for $900 USD. 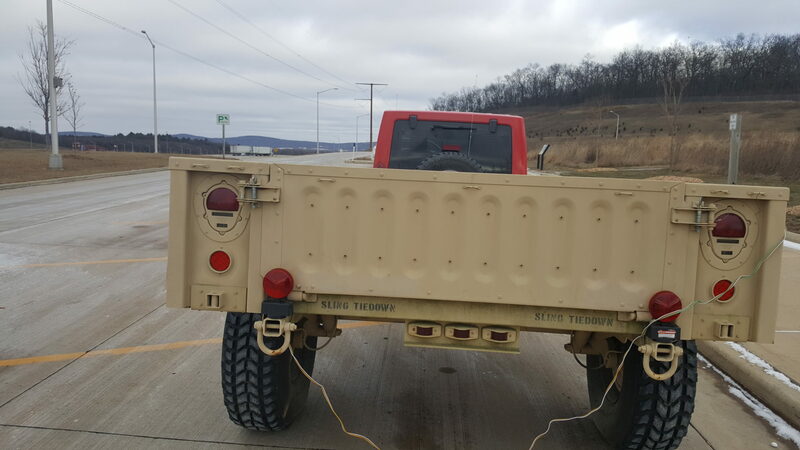 He was looking to helping his ex-military son liquidate his military stock. 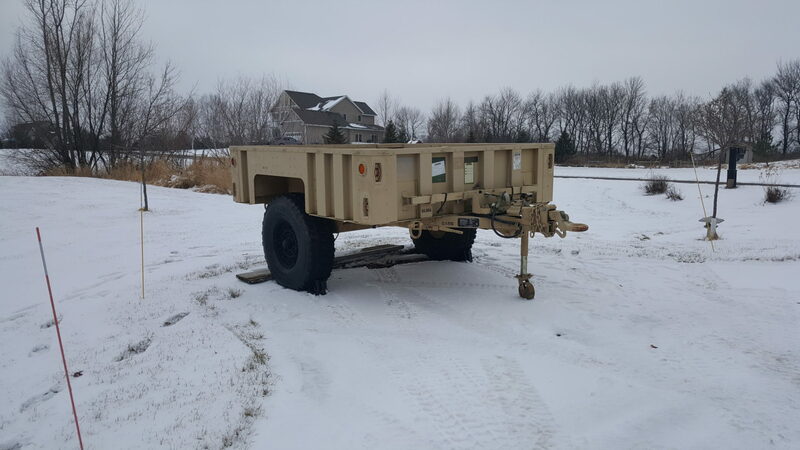 And, given it is winter here in MN, USA., the seller was happy to sell as quickly as he can to make the best out of buyers’ interest. 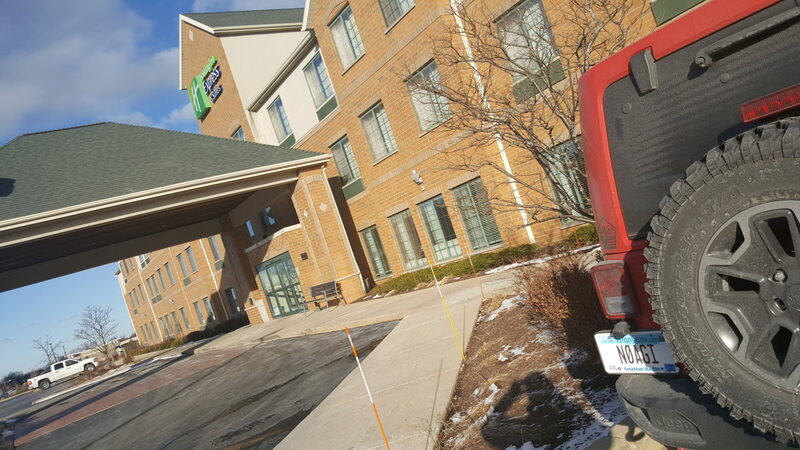 I simply could not pass up on the offer – I drove over to Kenosha, WI., ~6Hr drive from home, checked into a local Holiday Inn Express that night. 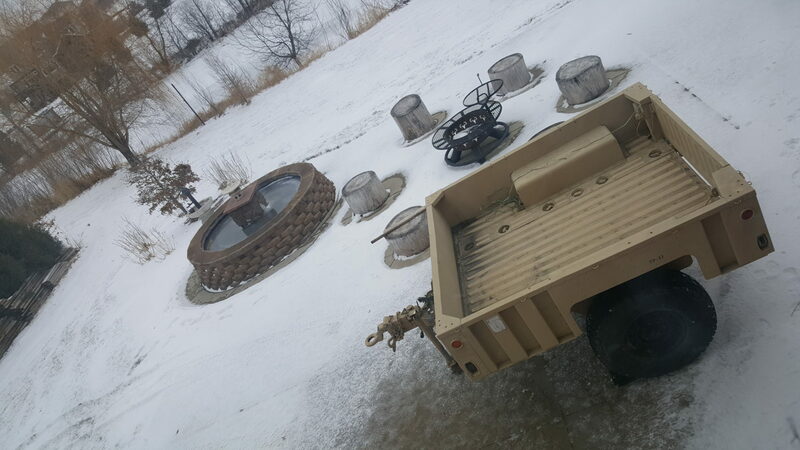 Woke up early in the morning, drove over to the seller’s farm where he wanted me to stop by to look at the trailer and make the purchase. 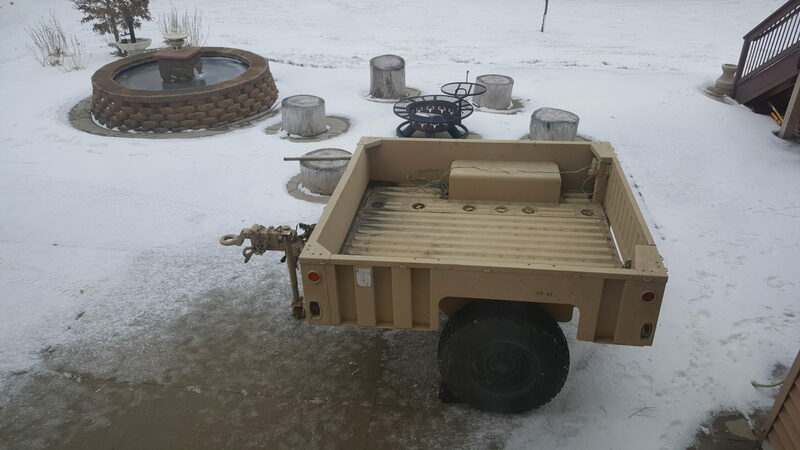 I arrived a few min early and waited for the seller to arrive, upon his arrival, we talked about Jeeps, he showed me around the trailer and his other equipment stock he had in his barns for sale. 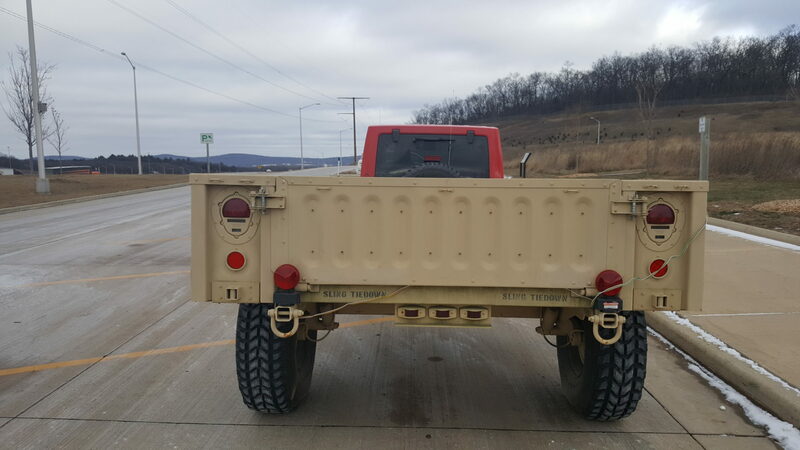 A good guy honestly willing to close the deal. 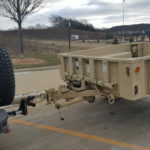 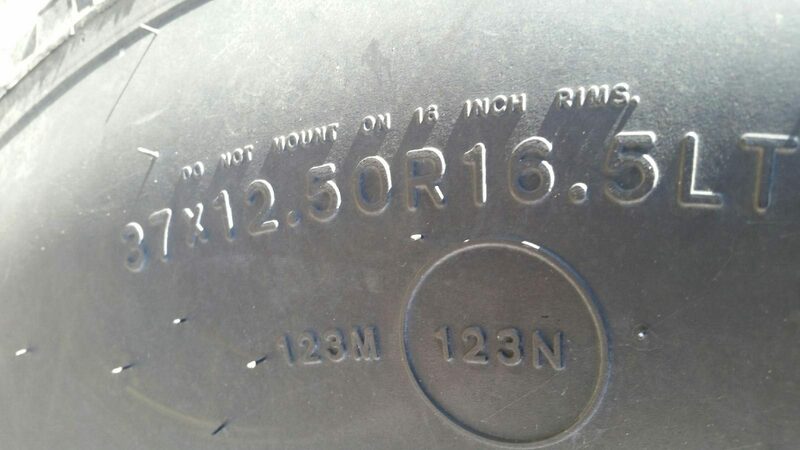 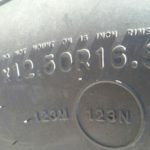 I was very impressed with the quality of the M1101 trailer, almost new condition, good tires, breaks, bed, etc., etc. 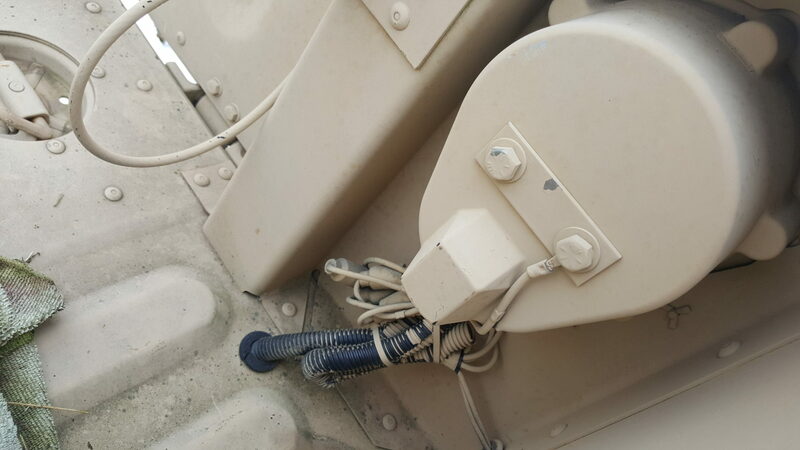 There was one small ding on the front wall top, not much to worry about. 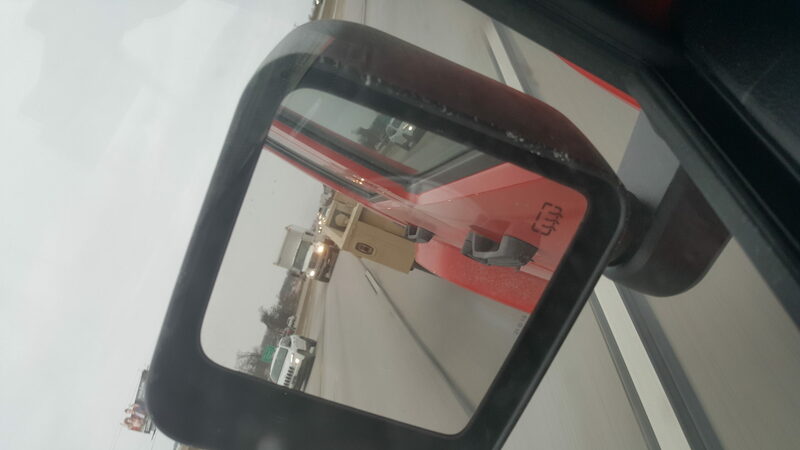 The seller and I hitched up the trailer to my Jeep, I paid him in cash, I got a sale-note from him and started driving back home right away to beat the traffic. 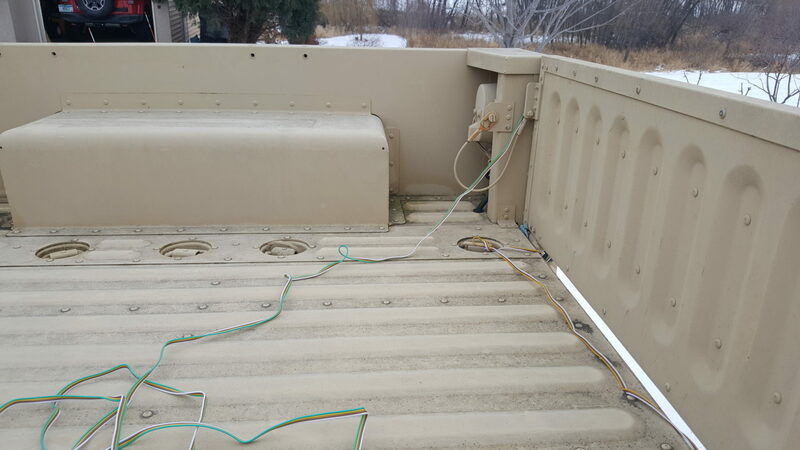 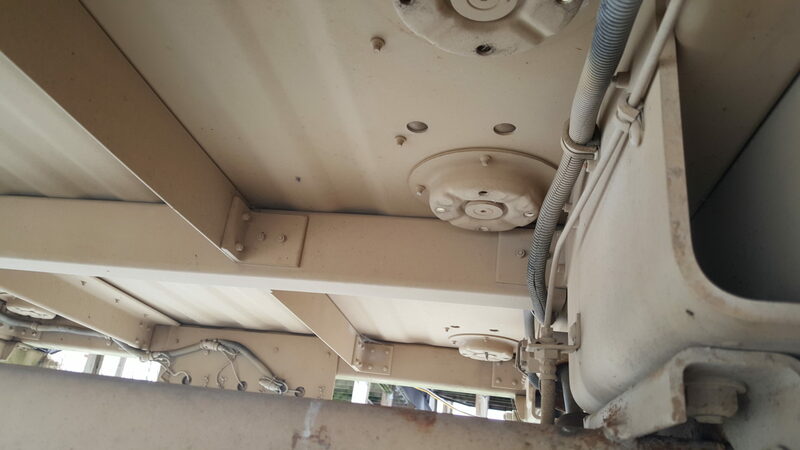 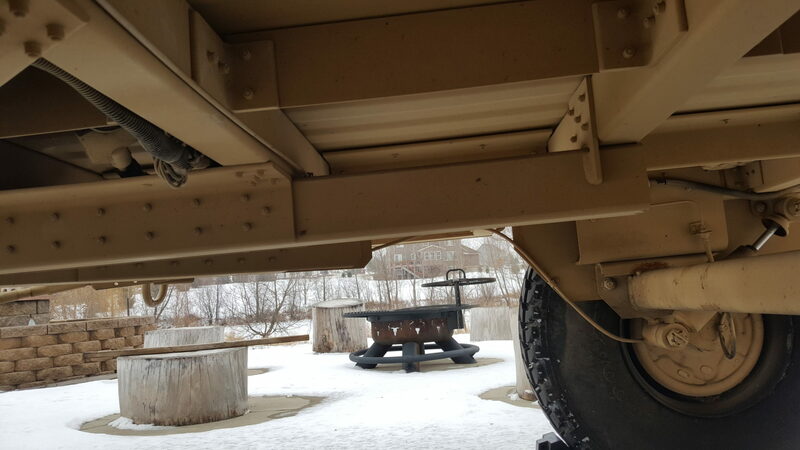 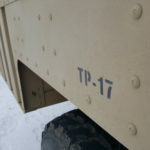 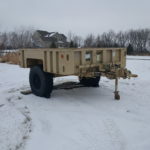 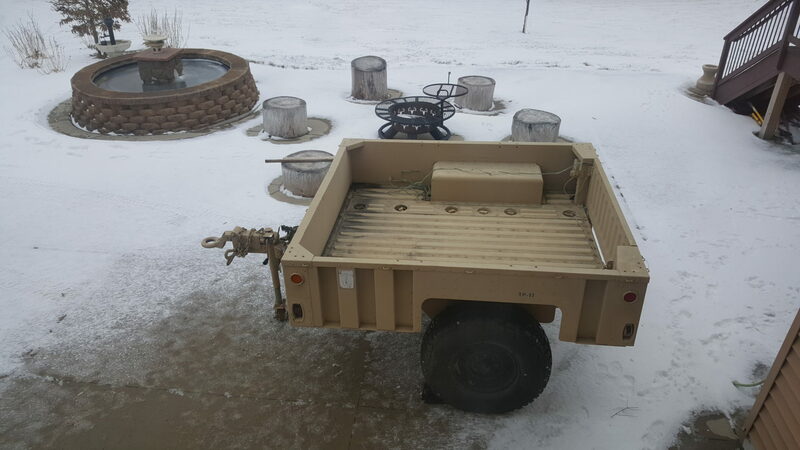 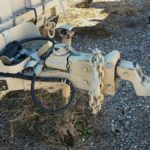 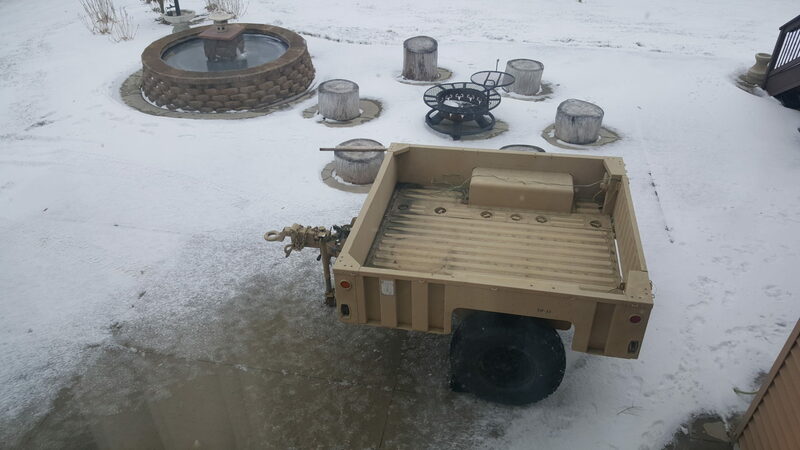 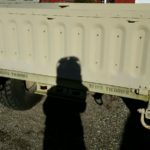 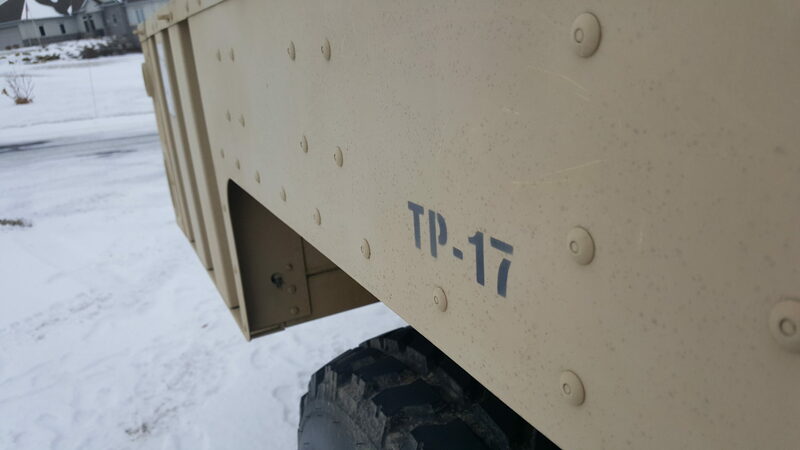 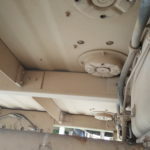 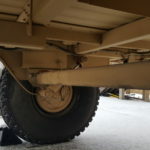 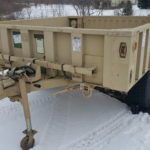 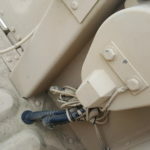 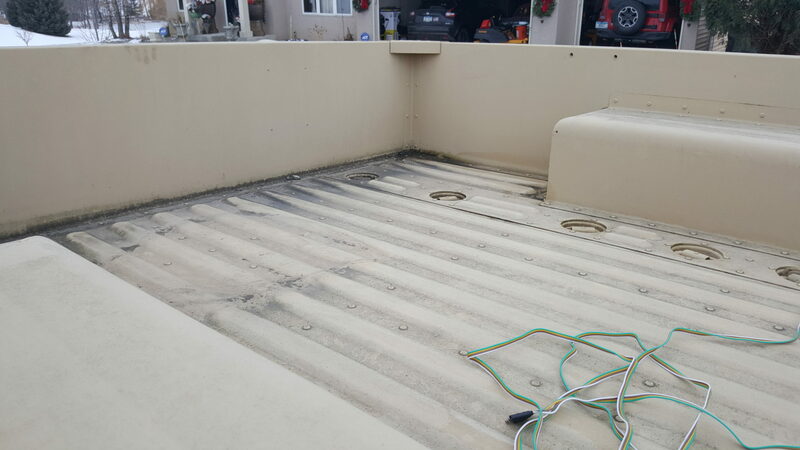 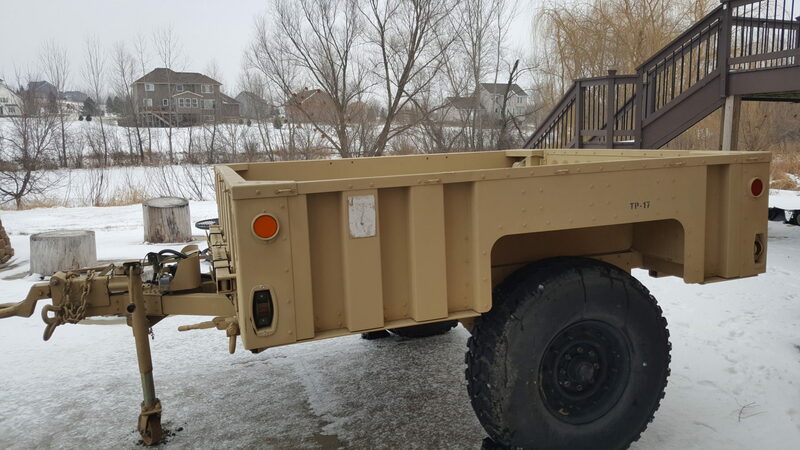 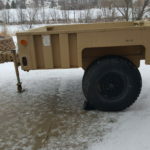 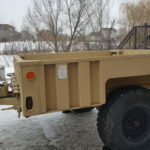 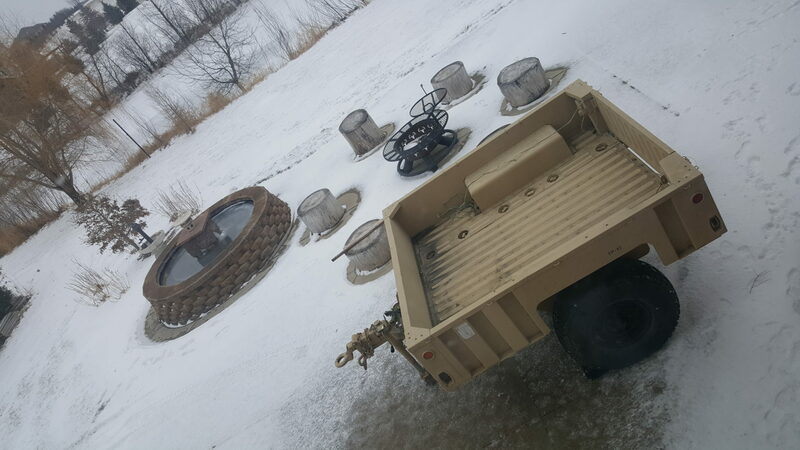 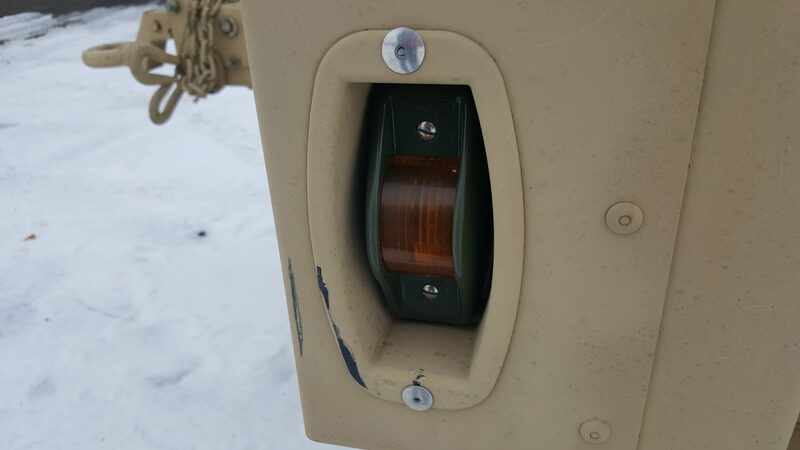 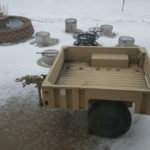 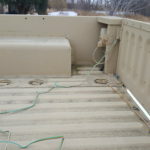 M1101 – The trailer is wired for 24V military and my plan is to convert it to 12V civilian use – replace the wiring to the compatible 4 wire plug, the bulbs to 12V LED, etc. 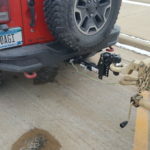 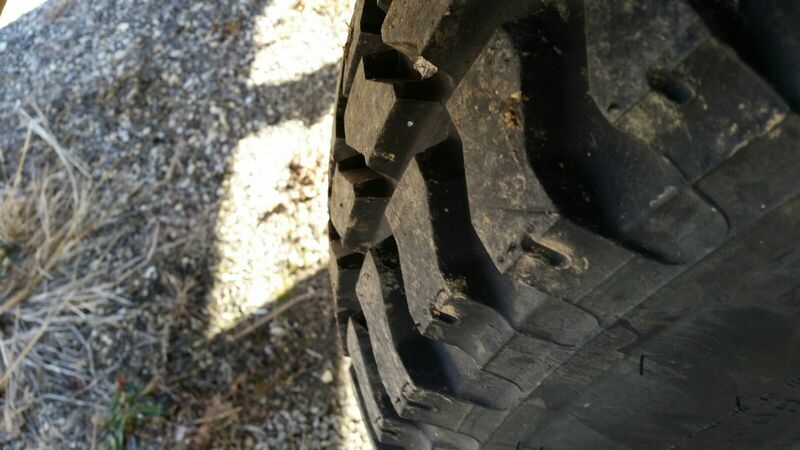 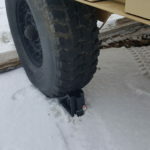 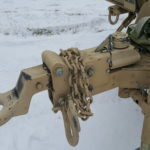 Jeep – I will need to modify my Jeep hitch assembly to heighten up another 4 inches. 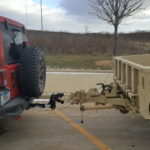 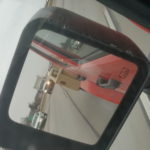 I may have to fabricate an custom hitch to accommodate a true-up level w/ the trailer. 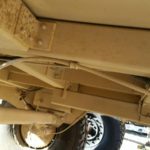 Jeep – I have been noodling over the idea of giving my Jeep a 2″ or 3″ lift w/ new adjustable reservoir shocks along w/ 35″ tires. 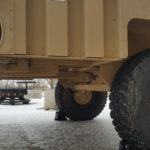 I am also exploring getting larger wheels to match w/ the M1101 wheel base. 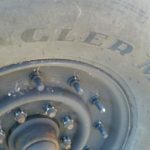 I don’t want to spend too much on the new wheels. 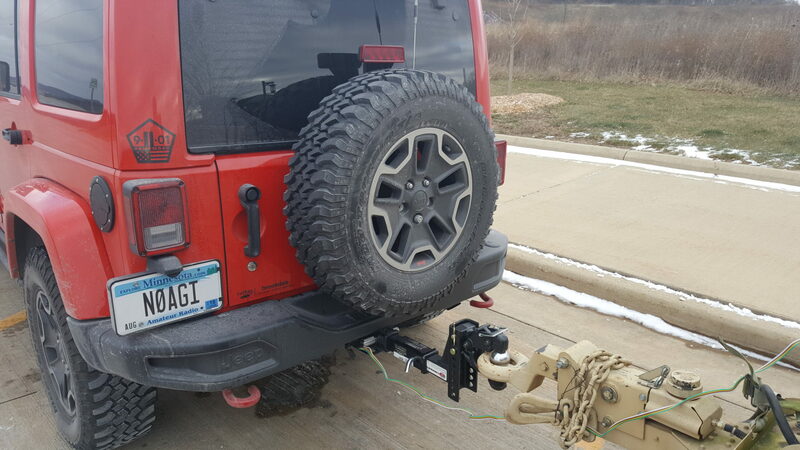 A roof rack w/ some trail grade LED light-bar KC Gravity Pro6 50″ lighting. 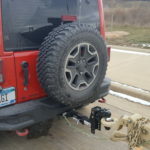 For the rack, seem to be liking the Gobi Ranger after doing some compare/contrast w/ other brands. 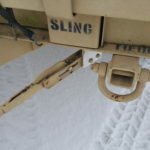 I am keen on static vs dynamic pay-load. 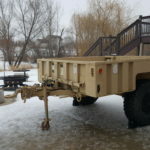 Gobi seem to have 300lbs dynamic (i.e., in motion/driving load capacity/limit) and 800lbs of static (i.e., when stationary., i.e., if we had an RTT, it can safely host 2-3 person tent occupied). 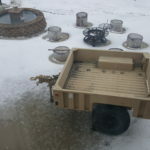 I already have a pretty good set of LED Performance headlights and fog lights. 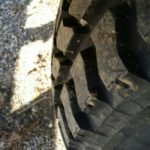 I will wait till they wear out or if they run into issues. 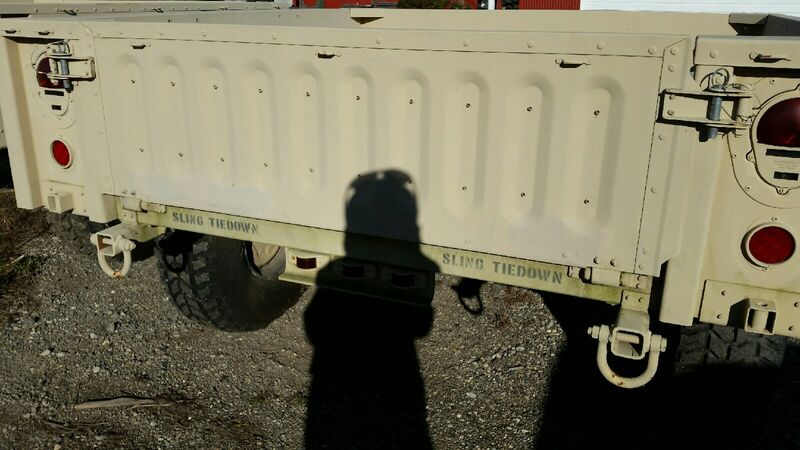 If I end up replacing them, I will be likely considering these LED head lights w/ KC Gravity Pro 7″ and Fog Lights. 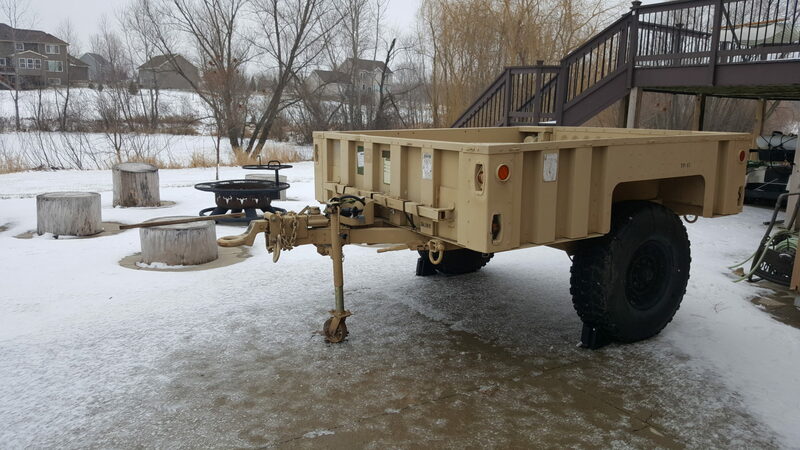 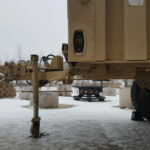 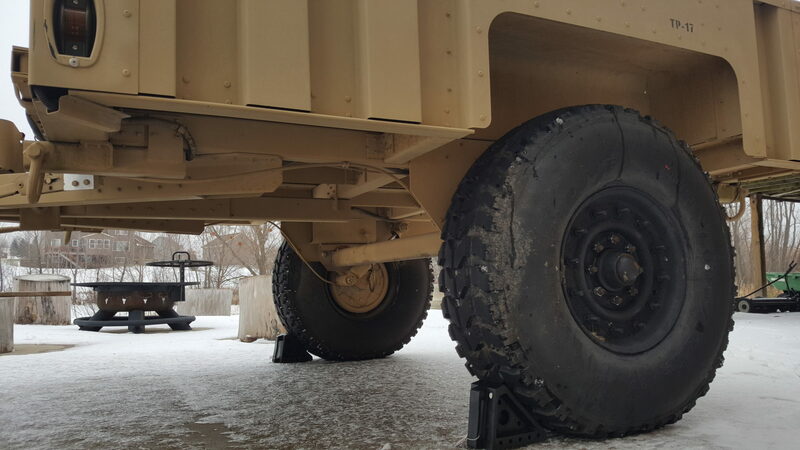 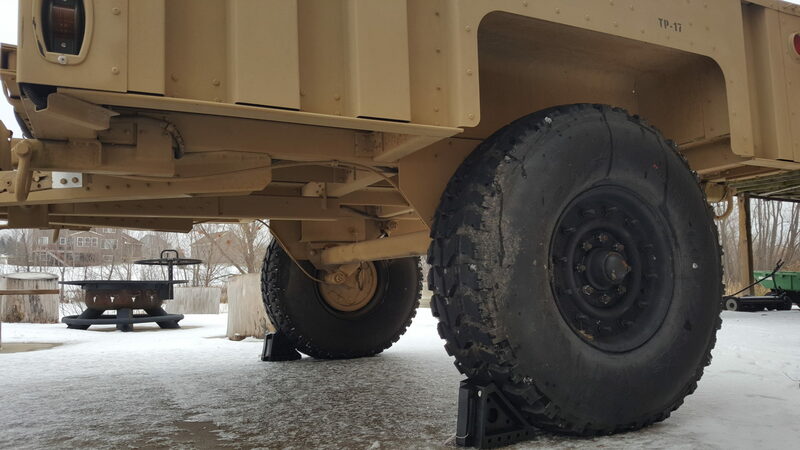 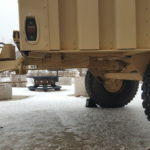 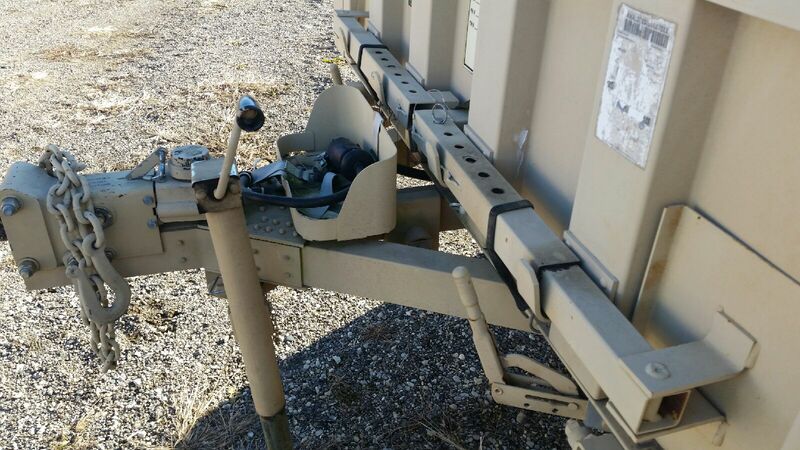 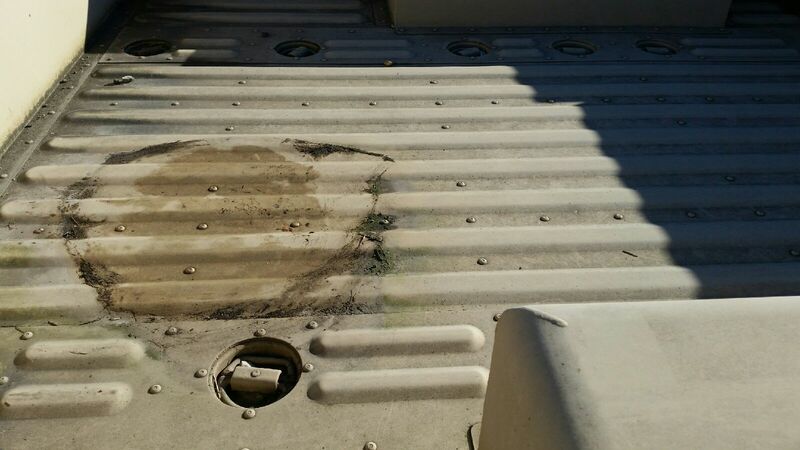 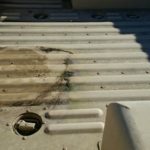 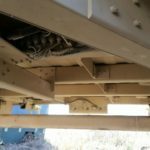 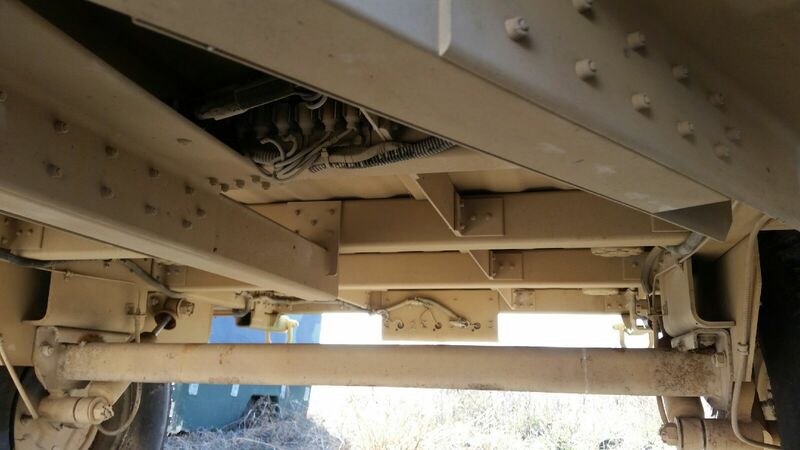 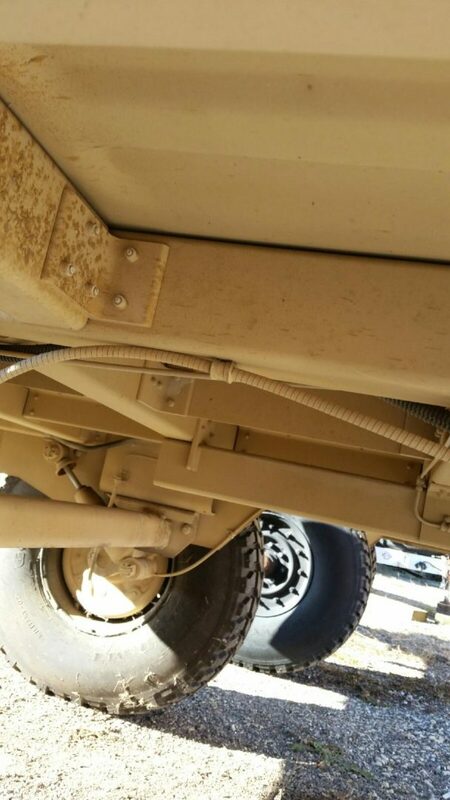 M1101 – do some WD-40 treatment around the trailer moving assemblies. 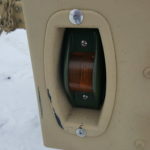 I will also need to find a couple of longer safety links w/ hooks. 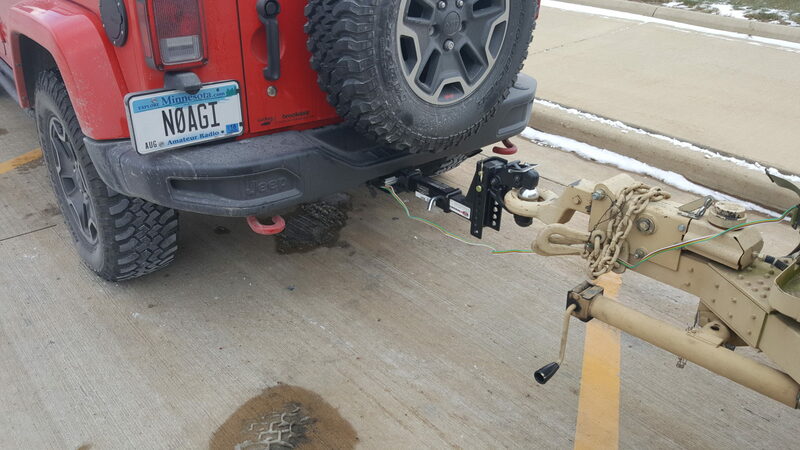 The factory ones on the trailer are a few inches short to reach my Jeep’s hitch hooks. 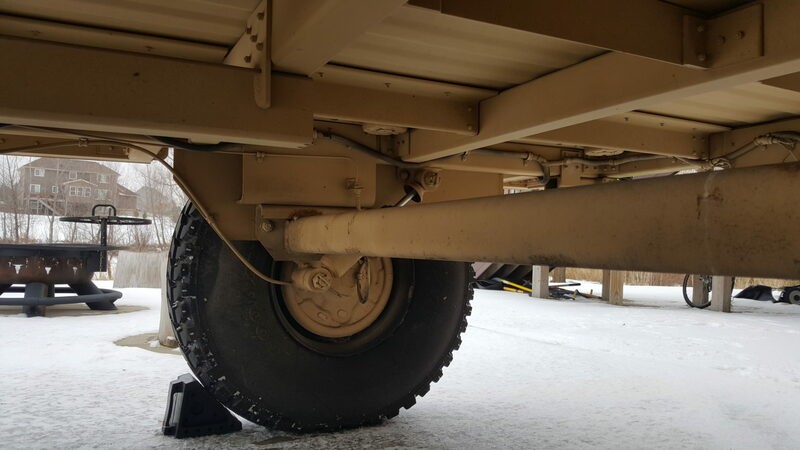 Acquire Air Tank for M1101 utility applications such as on-board shower capabilities, compressed-air source for tools and tires. 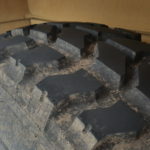 Ver 1 Beta – ready for testing.